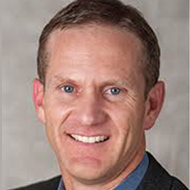 Jeff Zwiers, Ed.D., is a senior researcher at Stanford University. He has taught elementary, middle, and high school students in Latin America, Asia, Africa, and the United States. He has taught graduate courses on language development, bilingual education, and content literacy at Stanford University and the University of San Francisco. He works with teachers and schools to promote academic language development, critical thinking, disciplinary literacy, and formative assessment practices.